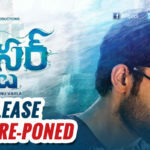 After a gap of one year, Mega prince Varun Tej’s new film Mister released, who last seen director Puri Jagannadh’s Loafer(2016). The film has hit worldwide theaters on Friday, April 14th. The film Mister is tipped to be an interesting romantic entertainer. The theatrical traielr of the film has raised enough curiosity. Mister promises to be a complete family entertainer with Sreenu Vaitla’s trademark elements. 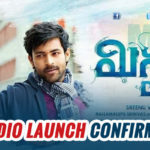 Mister is a romantic love story, featuring Varun Tej as Pichchaiah Naidu (Chai). Pichchaiah Naidu (Chai) is a happy-go-lucky guy who falls in love with Meera (Hebah Patel), while he is touring Spain. When he returns to India, village-belle Chandramukhi (Lavanya Tripathi) takes a shine on Chai. He is torn between the duo and his efforts to understand whose love is truer makes the crux of this triangular love story. After facing disasters at the box office in the form of Aagadu and Bruce Lee, director Srinu Vaitla has high hopes on this movie. Also Varun Tej’s last movie, Loafer resulted as a box office failure. This film is important for both the director and the hero. An average flick which goes on comedy. The movie has some lengthy scenes before the interval and some dragging scenes after the interval. Besides, everything is good. Especially the spoof in the first half is good. Varun Tej: He change his look completely. And done good job in his role. Hebah Patel & Lavanya Tripathi: Both looked really cool and added flavor to the film. Both justified to their roles. Nikitin Dheer, Prudhviraj, Harish Uthaman, Raviprakash, Anand, Eeswari Rao, Nassar, and Chandramohan in the supporting role. 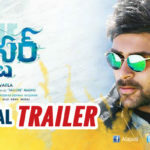 The viewers say Mister has an interesting story line and the director has infused the movie with touching family moments coupled with a liberal dose of comedy and action. Music is composed by Mickey J. Mayer which is good. Production values are rich and strength for the movie too. Cinematography by K. V. Guhan. Recently, The film has cleared the censor and has been certified with U/A after minor cuts.